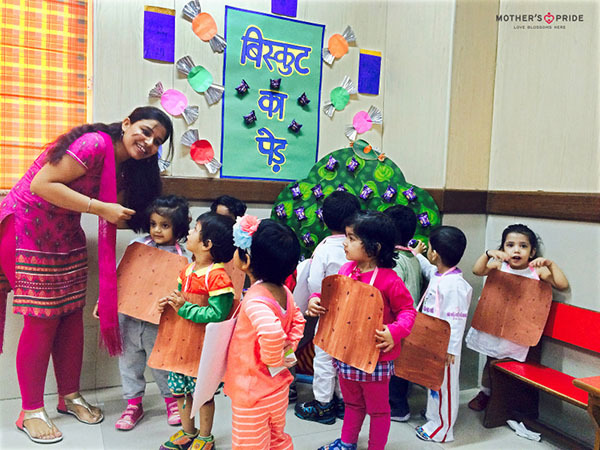 Rhymes sessions are children’s favorite. They love to do actions and enjoy the rhythm. 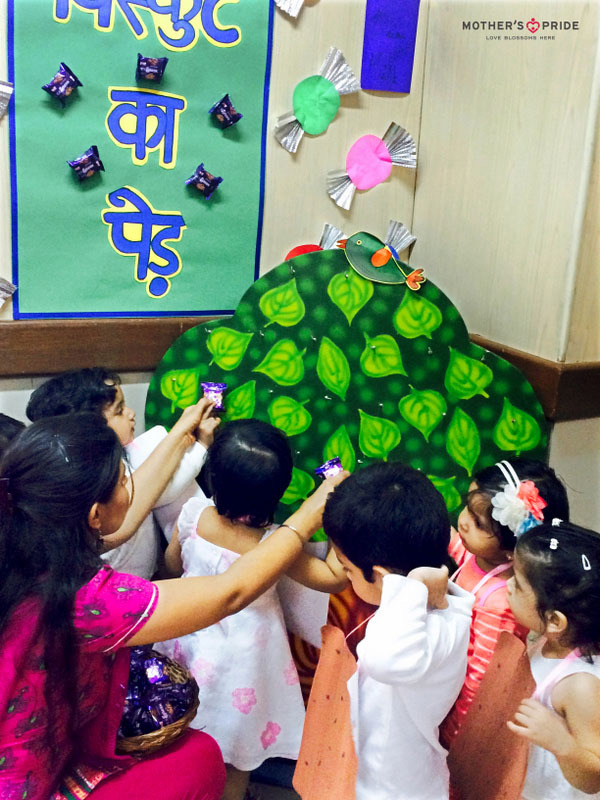 Reciting rhymes is also one of the most integral and important part of a curriculum. 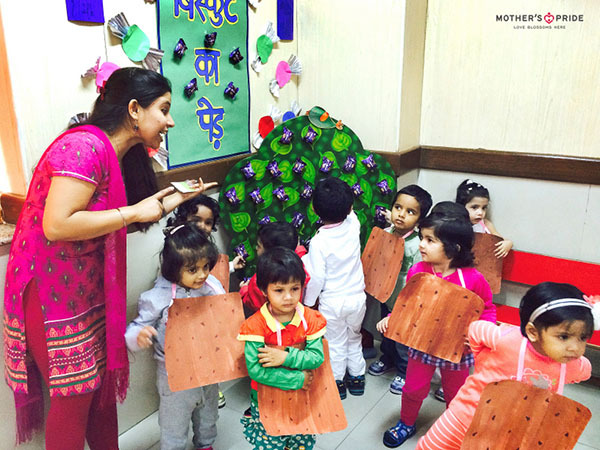 It not only enhances children’s vocabulary and language but also gives a boost to their listening and creative skills. 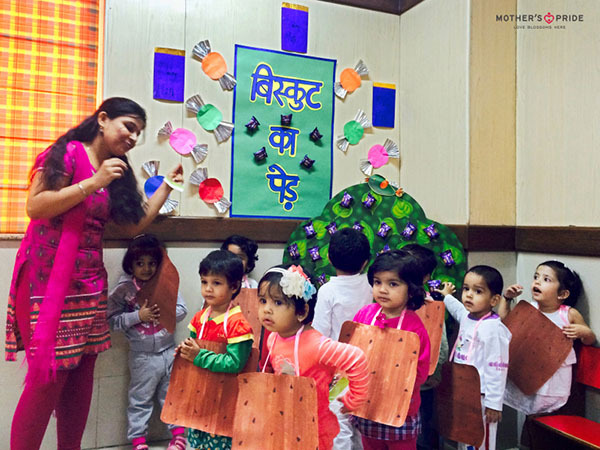 Teachers at Mother’s Pride had prepared a detailed set-up for the rhyme session for children that included props like trees, biscuits, toffees etc. Children were then assembled in a group near the set-up and all of them together recited the rhyme. Children were then shown the props for deeper connect and understanding.